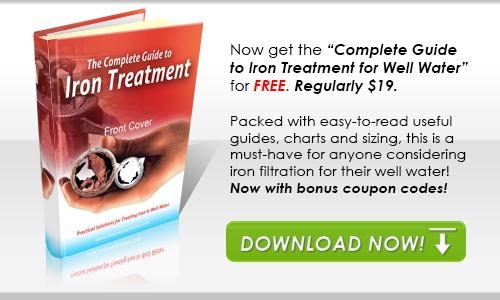 Clean Well Water Report: What Can I Use to Treat Acid Water, Iron, AND Sediment? What Can I Use to Treat Acid Water, Iron, AND Sediment? Are there any systems or combination of products that could handle all these issues? A big draw on the well that is unusual is that they put in a geothermal unit. With as expensive as it is to fix, I really want to find them a solution that will protect the geothermal as well as the normal appliances in the house. 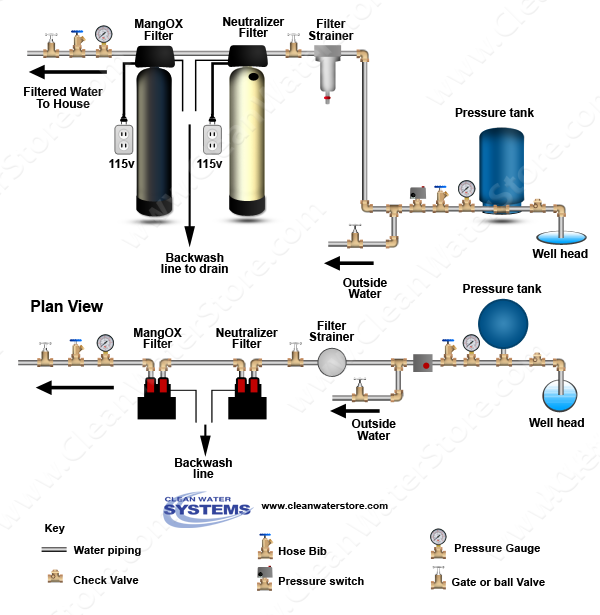 For your application we recommend a flushing filter strainer, followed by a calcite neutralizer and MangOX iron filter. This combination would strain out the pebbles and grit, neutralize the acidic pH, and remove iron and sediment. 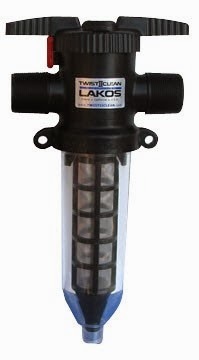 A 60 mesh Lakos Twist II Clean would be a great choice for your parents, as they are very effective filters that require little maintenance - to clean it, all you need to do is turn the handle and let the Twist II Clean backwash itself from the inside out. For the neutralizer, we recommend a calcite neutralizer 7000-SXT; this tank uses a Vortech distributor which allows for backwashing at lower flow rates, saving you water and energy, without sacrificing effectiveness. Finally, we recommend a MangOX iron filter 7000-SXT to remove the iron and sediment from your water. Like the Twist II Clean, this system is self-backwashing and requires little maintenance once installed - you'll get over 10 years of use out of the MangOX media inside before it will need to be changed! Regarding the geothermal unit, we have had some customers who installed neutralizers on their geothermal units. Depending on the flow rate of the geothermal unit, though, you might need two 2.5 cubic ft. neutralizers operating in parallel. Usually we recommend 1.5 cubic foot systems for families of 2 - 6 people with 2 to 3 bathrooms in their homes. However, since your well has such a good flow rate (16 GPM) you could get the larger 2.5 CF models and they would work fine. See the diagram below of a typical arrangement that works great. It won't soften the water, but it sounds like water hardness is not a big problem. If your parents would like softened water, though, we recommend a 48K grain CWS plus water softener. This easy-to-install, salt-efficient system will put an end to the effects of hard water like spotting and scale buildup, without causing pressure drop or low flow rates. We hope this information helps you and your parents solve your water problems. If you have any further questions or concerns, don't hesitate to e-mail us at support@cleanwaterstore.com or leave us a comment or message on Facebook.